Make Our Thing Your Thing! 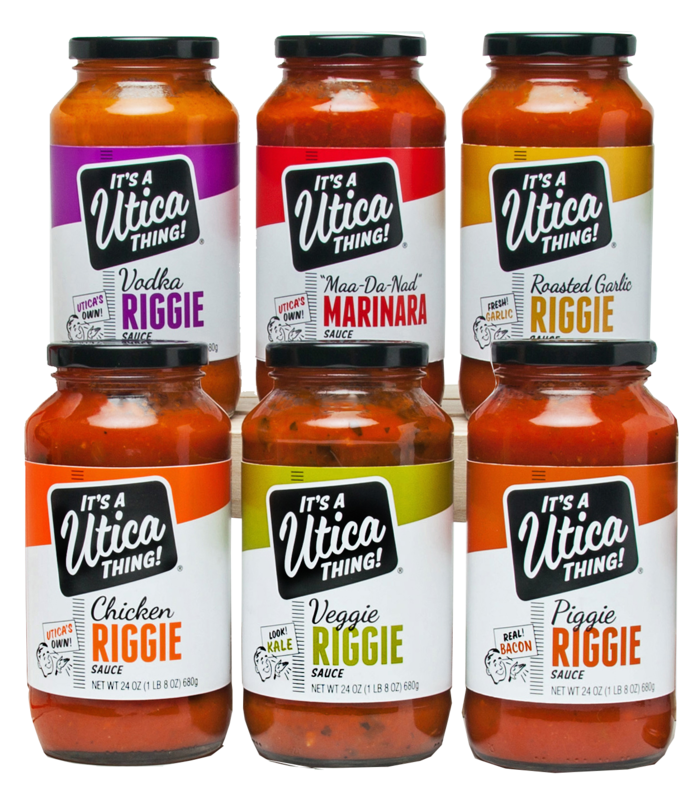 FOLLOW US ON FACEBOOK HERE..
6 amazingly delicious and authentic Utica sauces including our 5 Riggie sauces and classic homemade Marinara. 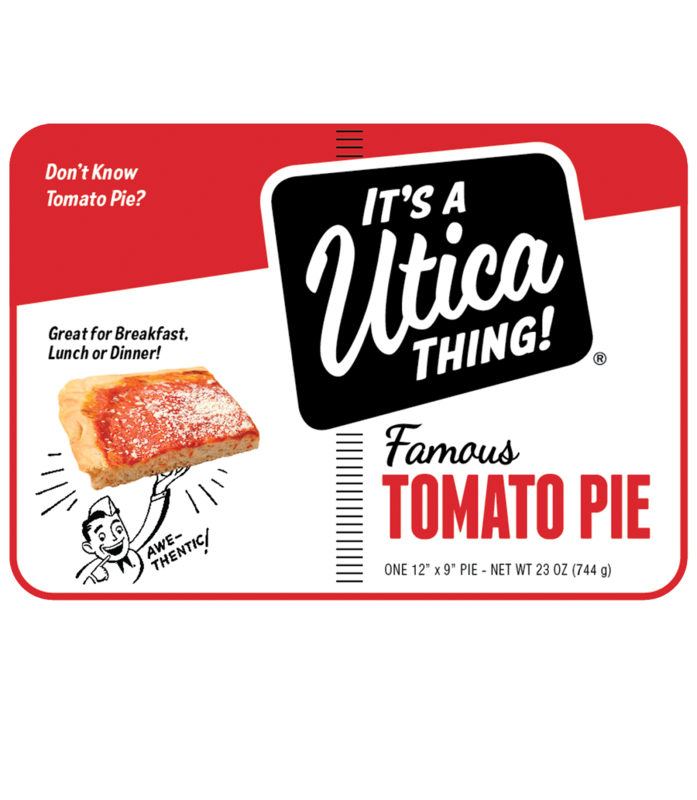 After a brief warm-up in the oven, our Tomato Pie will take you back to Utica. Enjoy it hot, cold or at room temperature. The gutsy little city of Utica, New York is known for hard-working folks and really good food. Tomato Pies, Chicken Riggies, Utica Greens are stuff of legends. Our commitment to old world recipes and fresh ingredients are in every hometown product we make. You could say “It’s A Utica Thing” and you’d be right! It's like mama used to can the sauces when we were kids. Fresh and homemade from our kitchen to your table. 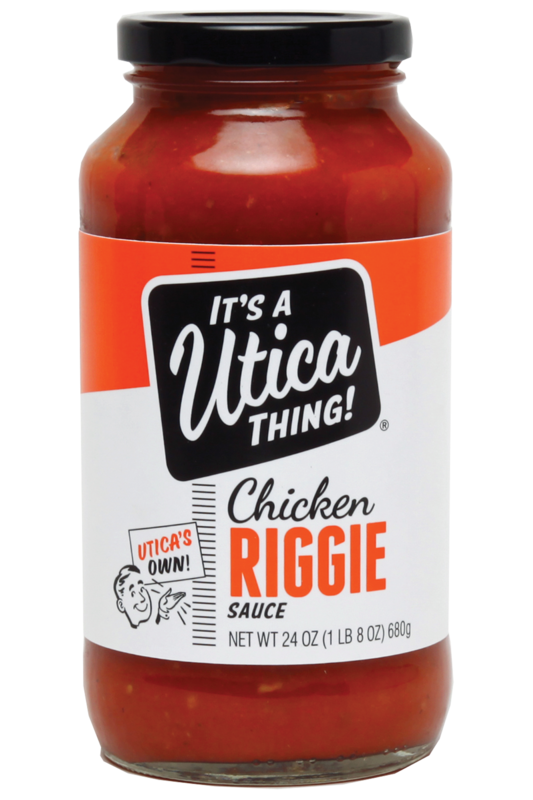 You'll love our classic Utica Chicken Riggie Sauce, plus, Piggie, Vodka, Veggie and Roasted Garlic, and the classic Marinara (Ma-Da-Nad) sauce. Our Tomato Pie will take you back to the neighborhood! No matter where you live, it will taste just like you're eating dinner in Utica. 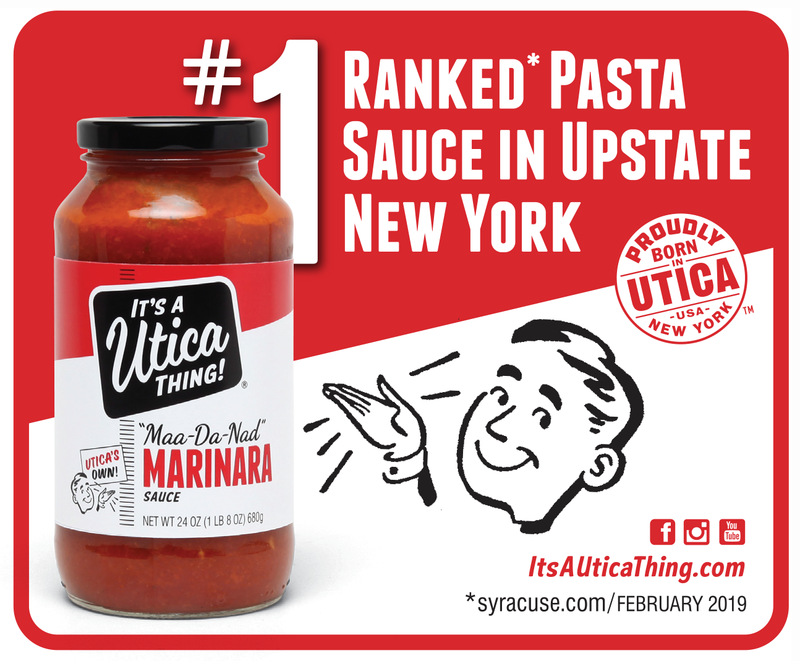 Our entire 'It's a Utica Thing!™' line of products ships anywhere through our partner NY Style Deli. Order Now!